Wow... just wow. I almost backed Far West as the first KS I would have ever backed. But I didn't... and now I'm glad I made that decision. Massively overdue, massive amounts of missed delivery dates... now a massively overpriced pdf preorder that may or may not be out anytime soon. I'll just keep passing on Far West. 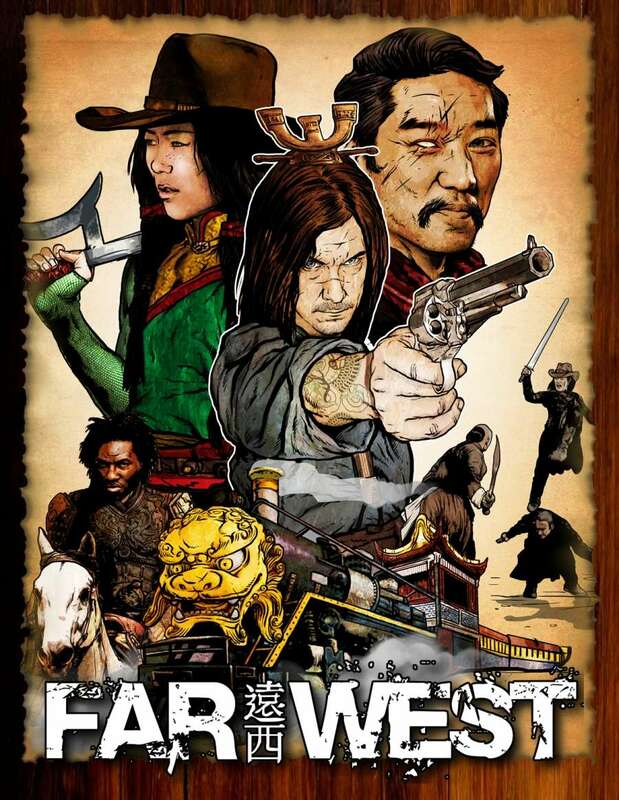 Despite the title and the description, it looks to be rather light on the Old West in favor of the Far East. Of course, I'm just basing my opinion on the artwork I've seen. Skarka...he already took me for $50 on a preorder for the Buckaroo Banzai RPG that I'm sure will never be published. It's also several years overdue now. Why anyone would front money to any project this guy is involved in...! But you have to admire the gall to ask for $25 for something that not only doesn't (and likely won't ever) exist but also used to be $10! And re: the art, actually it's awful and I'll be surprised if he doesn't get a C&D or an S&C for tracing copyrighted materials and using celebrity likenesses. To be fair, rpgnow.com indicates that the regular price of this offering is $59.95. So, in that context, $24.95 is quite the bargain.